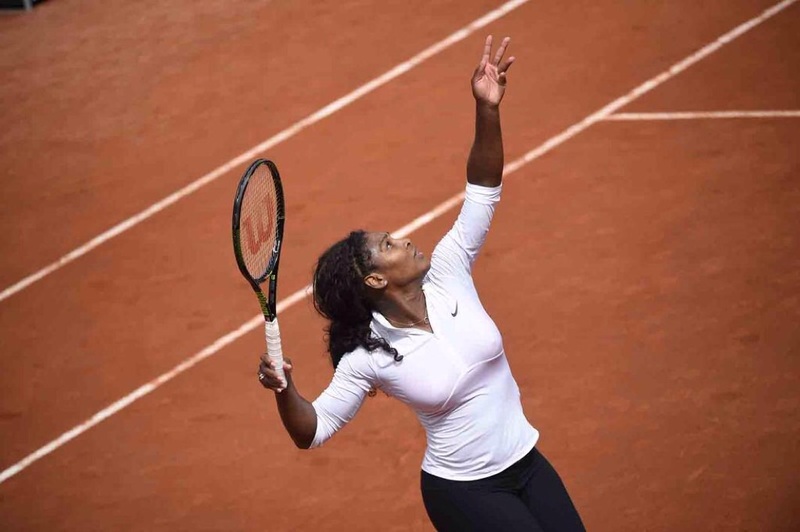 World number one Serena Williams began her campaign for a third Roland Garros crown with a straight sets win over Andrea Hlavackova at the Philippe-Chatrier on Tuesday. The top seed converted all four break points opportunities and claimed 25 winners to Hlavackova’s 16 en route to a 6-2 6-3 win. The American will face Germany’s Ann-Lena Friedsam in the second round. Serena’s prospective last-8 opponent Caroline Wozniacki, after a close opening set, bageled over Italy’s Karin Knapp in the second set to take a 6-3 6-0 win and advance to round 2. Serena Williams Advance at the French Open. Image: Getty. Among other Top 8 seeds in action on Tuesday, No.4 seed Petra Kvitova surmounted a resillient Marina Erakovic, 6-4 3-6 6-4, but No.6 seed Eugenie Bouchard was stunned by Kristina Mladenovic, 6-4, 6-4. World No. 106 and Bulgarian qualifier Sesil Karatantcheva also shocked 25th seed Jelena Jankovic 6-3 6-4. Tenth seed Andrea Petkovic, No.16 seed Madison Keys, No.18 seed Svetlana Kuznetsova, No.23 seed Timea Bacsinszky and No.32 seed Zarina Diyas secured their places in the second round, as unseeded former champion, Francesca Schiavone, battled back from a set down to beat China’s Wang Qiang, 3-6, 6-3, 6-4. Hon. Ihedioha Restores World Boxing Champion Emenogu’s Confidence on the NASS Ahead of His Title Defence. Football: Omeruo, Back to Training, Wants to Feature in World Cup Playoff Return Leg.